Add a splash of all natural Open Nature Coffee Creamer to your coffee and save some cash in the process. 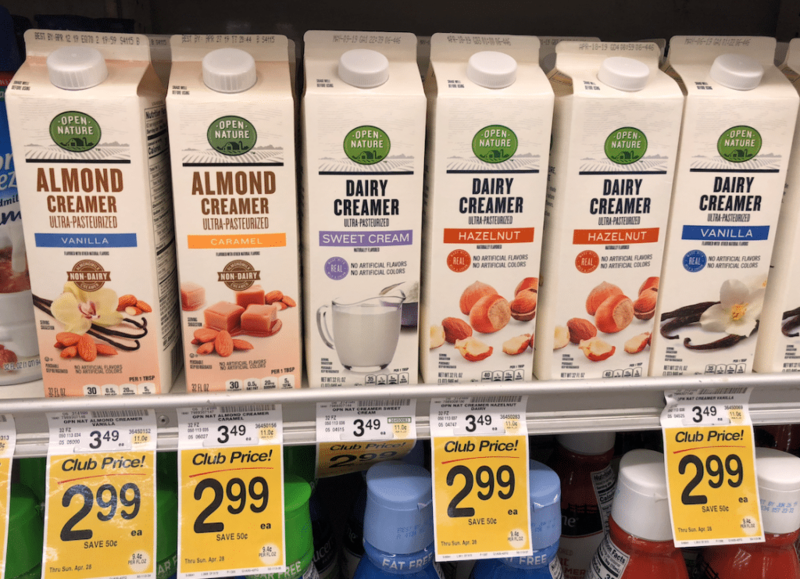 All flavors of Open Nature Coffee Creamers are on sale for $2.99 as part of the new April Big Book of Savings that just launched today. 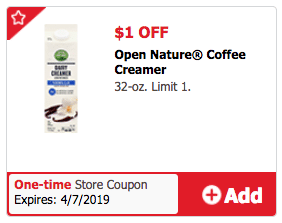 There is a new $1.00 off 1 Open Nature Creamer digital coupon available through Just for U through April 7th, which will bring the final price to just $1.99 Reg. $3.99, save 50%! 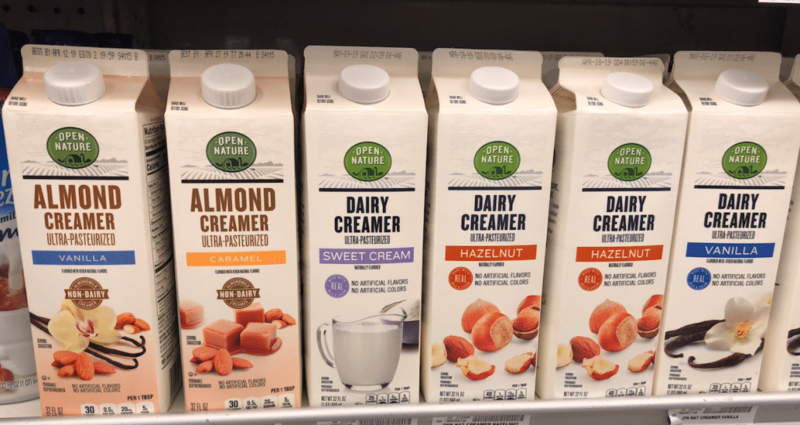 Available in both dairy and non-dairy milks, the Open Nature Creamers are made with all natural ingredients and are absolutely delicious! Choose from vanilla or caramel almond milk creamer, or sweet cream, hazelnut or vanilla dairy creamers. My personal favorite is the hazelnut! Perfect pairing for the hot new coffee deals we get this month- O Organics and Signature SELECT Coffee Bags and K-Cups are on sale for just $4.99 all month long! SuperSafeway is a blog devoted to helping you find the best deals at Safeway in the Denver division. Every week we slice and dice the ad and tell you the best deals at Safeway with and without coupons. For more low prices, check out Super Safeway’s weekly ad coupon matchup page. Want to stay updated on the best deals? If so, make sure to like Super Safeway on Facebook, join our Facebook group, follow us on Twitter, Instagram, or Pinterest and subscribe to our newsletter. Check out Publix Ad.